SEOUL (Reuters) - The chief executive of South Korea's LG Display <034220.KS>, Han Sang-beom, was determined to deliver a strong message when he appeared before 1,000 employees at the firm's main manufacturing plant last spring. "We knew from last year LCD prices would go down but we did not expect this big and fast fall," acknowledged one LG Display official, who, like others in this article, declined to be identified because he was not authorized to speak to the media. "Customers had been asking for price cuts, but we didn't act until it got too late." LG Display posted five straight years of strong profits after Han took the helm in 2012, riding a tide of LCD screen orders from Apple Inc (AAPL.O) and strong demand for both phone and TV screens from LG Electronics <066570.KS>, which owns more than a third of the display-maker. LG Display also began to invest in OLED displays, which unlike LCD screens don't require backlighting and can deliver more natural-looking colors. OLED screens also consume less energy and can be bent and folded. While LG Display hummed along, Chinese companies, led by BOE Technology Group Co Ltd <000725.SZ>, were pouring huge sums into LCD production. LG Display's big South Korean rival, the display unit of Samsung Electronics <005930.KS>, had begun pulling back from LCD years earlier, shutting down older LCD production lines in South Korea beginning in 2010, according to a Samsung Display official. 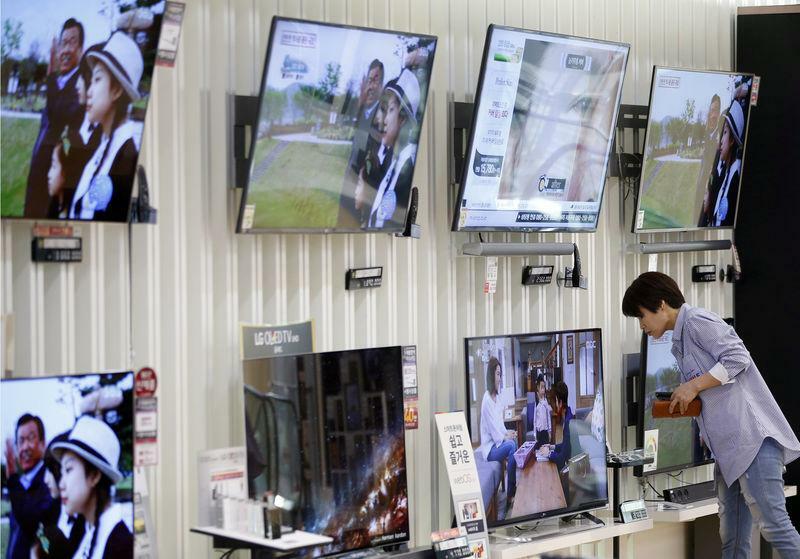 The company now has just two LCD factories in South Korea and one in China. LG Display says its OLED division will turn a profit in the third quarter. It also expects LCD prices to stabilize, enabling it to squeeze profits from the older technology until the newer one matures. "Given OLED is our answer and solution to the crisis, there's nothing else we can do other than tightening our belts and pushing for OLED," a company official said.